Austin Food Bloggers Alliance is hosting Cupcakes and Cocktails, on July 25, 2012 at 5pm to 9pm. 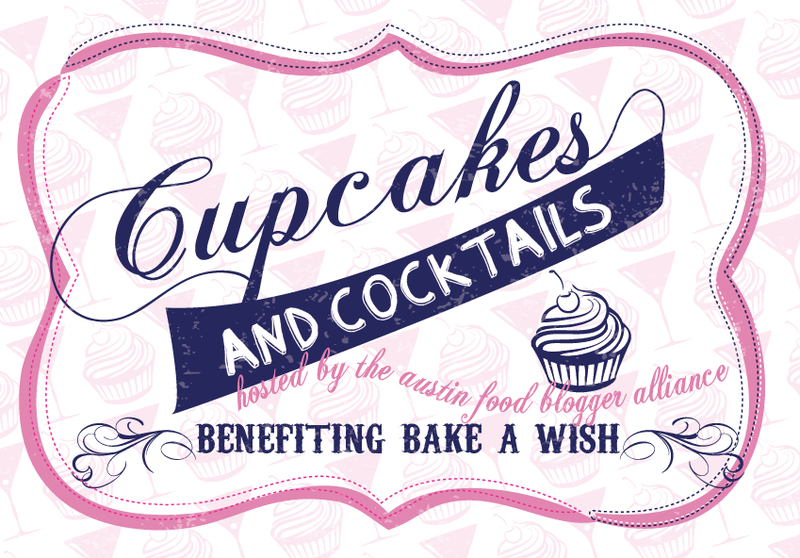 Cupcakes and Cocktails will benefit Bake A Wish. Bake A Wish is a local nonprofit, whose mission is to provide birthday cakes to abused, neglected, abandoned children and youth who would not otherwise receive one. Tickets can be purchased here for 35 dollars and covers admission, cupcake samples, appetizers and small bites from Chef Josh Watkins, and drink tickets. It’ll be a fun opportunity to learn more about Bake A Wish, bid on some awesome prizes, as well as mingle with locals. Come and support a great organization! I’ll be there! Next article 5 More Tickets Available to Austin’s Second Dishcrawl!